THE JEWELRY: These sea glass earrings were hand made with genuine, hand picked seaglass beachcombed by me from a shore along the majestic Pacific Ocean shoreline. The beautiful, aqua blue sea glass is historic and likely originates from vintage canning jar glass. The pieces have been tumbling at sea for decades. The ear hooks, head pin and flower beads are .925 sterling silver. 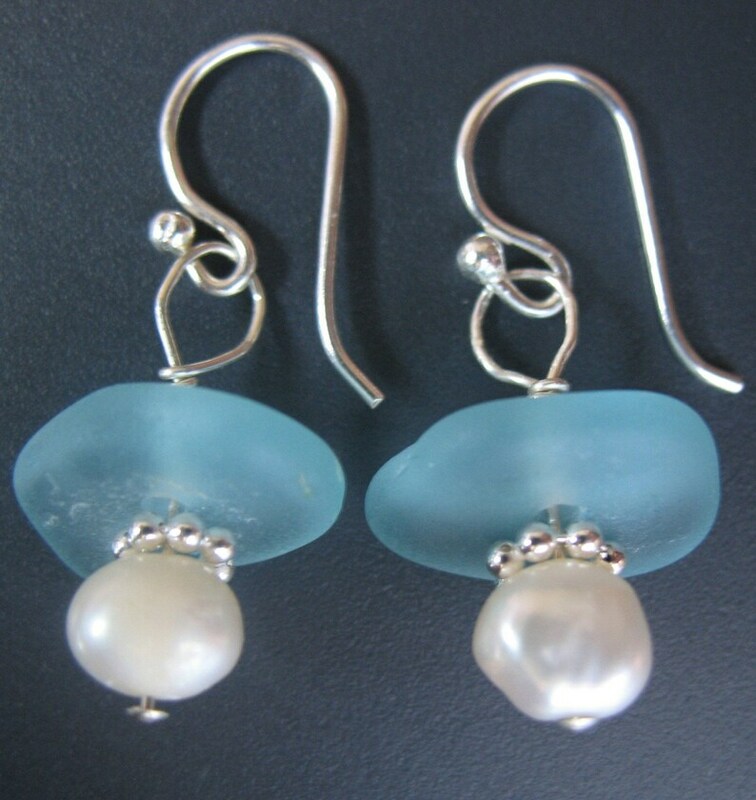 They are accented with cultured, white freshwater pearls. MEASUREMENTS: The sea glass pieces each measure about 1\/2" wide long. The whole earring "drops" just about 5\/8" from the bottom of the earwire. Classy and just dramatic enough. These are so beautiful. The sea glass and pearls are a great combination.